Pete Lescoe might be onto something. 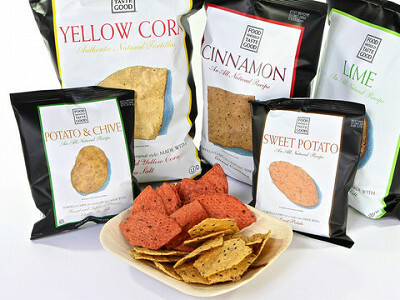 He named his chip company FoodShouldTasteGood — and not only do his gourmet chips taste good, they’re about as guilt-free as a snack food can be. Plus, eating these has totally blown my tortilla-chip worldview out of its previously narrow blue-corn-to-lime-tinged horizons. Angie H., in the photo on the right, is a friend and fan of Daily Grommet who also works at FoodShouldTasteGood. We’re thrilled that she introduced us to these snacks and couldn’t agree more that these are definitely grommet-worthy chips! They have unusual and tasty flavors such as Cheddar, Cinammon, Multigrain, Jalapeño, and Sweet Potato. All are delicious. Sure, I still love corn chips with salsa, but it’s nice to have options. I founded FoodShouldTasteGood in 2006 with the idea that food should taste good and be good for you. Today is your chance to try our chips for free! Please let us know what you think. Our tortilla chips are made from the highest quality, all-natural ingredients, and come in 11 delicious varieties. All chip varieties are gluten free, cholesterol and trans fat free, and do not use genetically modified ingredients (GMOs). They are also certified Kosher, lower in sodium, and are a good source of dietary fiber. We’re thrilled to be featured on Daily Grommet today and we welcome you to sign up for your free bags- be sure to check back in and let us know what you think! I'm a HUGE fan of the Sweet Potato Chips. Jeff of Ready, Health, Go taught me to warm them in the microwave for a few seconds and they're like tiny pieces of sweet heaven. I can't wait to check out the new flavors! These chips are great! I love the multigrain and the sweet potato. Give me multigrain and baba ganoush anyday of the week! The coupon is a nice treat. This is a great deal, folks! Get 2 Coupons worth 2 Free, Full-Size Bags of FoodShouldTasteGood chips today. Click on “Buy It Now” to visit the FoodShouldTasteGood website, then click on the red JOIN FAN CLUB button. 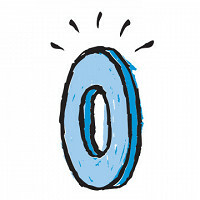 Let them know you heard about them from “Daily Grommet” and they’ll mail you 2 coupons to redeem in a store near you (limit – one offer per household). I LOVE these chips - every flavor! I first tried these chips in Toronto last summer. My mother in law was 94 at the time and said they were the best chips she ever tasted in her entire life! Would love to taste these - how long will it take to get the coupons, and what size bags can I get with them? Would I use the coupons in stores (where are these sold) or are they for your online shop? I did as instructed and joined the Fan Club and was only offered a $1 off coupon. How am I supposed to get "Two Free Full Sized Bags" with this printable coupon? @Anne, FoodShouldTasteGood will send your coupons to you via U.S. mail; you should have them in about a week. They are good for any full-size bag (5.5 oz), and you may use them in grocery stores. FSTG only sells chips by the case through its online store. @GeorgeB The company will actually mail you the two coupons for free bags. You can still enjoy the $1 off coupon, too! Having trouble submitting my info on your web site. I think the confusion is that when you sign up with the fanclub, the message does not say anything about the coupons for 2 free bags. There is just a note that you get a $1 printable coupon right away and 'other benefits'. So, I just mentioned I'd heard about them through Daily Grommet and assume everything else will just fall into place. I tried the multigrain ones at my mom's house and loved them. I am excited to try all the different flavors. Where can I find out where to buy these chips. Has anyone tried the sweet potato? They look amazing! I've tried at least 6 of the flavors and all are great tasting. A group of us was pleasantly surprised on Sunday when -- because we'd already eaten all the savory types of chips -- we tried Cinnamon with Salsa. The combination of sweat / savory was amazing! Ignore the "good for you" part of the story...these are really very, very good TASTING chips. @Maureen, you can click on this link to enter your zip code and find stores who carry FSTG near you: http://www.foodshouldtastegood.com/#/where_to_find/ R You can use your coupons in stores. If you really love the chips, you can also buy them by the case on the FoodShouldTasteGood website. Re. the sweet potato....I have had them and found that the flavor was best if you heat it up in the microwave just a touch. (the first commenter mentioned that too, I see.) It's a more delicate flavor than some of the others, so the heat brings it out nicely. A little unusual for a chip, but these are not your basic tortillas. Hi all - we apologize for any confusion relating to how to receive your 2 coupons. If you click "buy it now" above, you'll connect to the FoodShouldTasteGood site. Then click the red "Join Fan Club" button, and complete the text boxes. Enter "Daily Grommet" when it asks you how you heard about FoodShouldTasteGood. Though the copy on their site does not address the 2 coupons, they will mail these to the address you provide. Happy tasting! the lime are the favorites of the senoirs on my list. We enjoy them with mango salsa . Thanks for a healthy, tasty chip. Oh drat...my son and two friends marauded our chips samples here in the office and declared potato and chive "THE BEST.' Alas....that is just about the only flavor I never tasted. I will have to make a point to get those. Is it just me, becasue I'm not seeing a red button to join the fan club? @Lynne, just click "Buy it now" above, and you'll be connected to the FoodShouldTasteGood site. You'll see the red button once you're connected. Enjoy! Too salty! I felt like they were trying to 'cover up' a healty item to trick you into thinking it is good. I got my coupons, thanks! The Works is the absolute best chip!! I have not received any coupon as of this date. Sorry. I did receive my coupons. Thank you so much! We absolutely love them. Our favorite are the sweet potato chips! @gail I have received my coupons as well so we will request that the company re-send yours to you. I have sent you an e-mail. When I receive your information, I will contact the company. Thank you! Yes, received the coupons for the chips and they were excellent! The sweet potato chips are awesome!!! I could eat them all day. I just started on the multigrain ones. They are good, but not as good as the sweet potato. I can't seem to find them where they are suppose to be. I got the swet potatoe and the olive chips! The olive are my favorite--Thank you!! These chips were wonderful! The lime was a perfect compliment to our home made tamales and salsa - simply divine! I love them! So does my family, a group of non-vegetable-picky-eaters! That's for featuring this item we are believers! @Michelle - let us know more information and we'll have the company look into it for you. I received the coupons promptly in the mail and found the chips to be delicious. (Sweet potato & The Works) My teaching colleagues are now fans, too. I was pleasantly surprized they taste great. Next i will try the olive. I received my coupons, but unfortunately the Kroger store in my area does not stock your product. I was really looking forward to trying them, but have been unable to locate a supplier in my area. @Cathy B - I have sent you an e-mail. When I receive your information, I will have the company re-send your coupons. @Nancy - let us know your zip code and we'll see what we can do to help you out! These chips were surprisingly great. I served them to company and everyone was extremely impressed. Especially the Sweet Potato and multigrain. I will definitely buy these again! Oh these chips are yummy and twice as yummy when free! Lot's of compliments from my friends at work with whom i shared. I was so impressed with the Food Should Taste Good chips that I purchased with my coupons from Daily Grommet. I tried the sweet potato and jalapeno varieties and they were both delicious! My little boys really enjoyed the sweet potato, too, and the jalapeno chips were great in a tortilla salad. I can't wait to try more flavors...these chips are definitely a cut above the rest! I didn't care for the sweet potato or the chive & potato chips. I thought that both types had a slight burnt flavor that I just couldn't get past. I had the sweet potato chips and LOVED them. Can't wait to have another bag. Thanks for the chips! They were a little hard to locate, but found all the flavors at the Whole Foods in Honolulu. We tried the Lime and Sweet Potato chips. My 2-yr-old loved the sweet potato, husband liked the lime. We were all happy! I received the coupons but unfortunately I haven't tried the chips because the stores near me do not sell the product, something i didn't realize when i signed up for them. I received the coupons promptly. Thank you. I tried the Olive flavor and found them to be delicious. Although I love olives, many "olive flavored" items are too overpowering. These were not overpowering. They had just the right amount of olive. Thanks again. GREAT!! I sampled the olive chips and the jalapeno chips. Both were high quality and great taste. Even my friends who don't care for olives enjoyed the olive chips. This is a high quality product! These are really good chips for being a healthier version of something so bad for you generally. I mean it's not like sitting down with a bag of deep fried crunchy chips with super salty yummy flavoring, but that isn't what it is supposed to be. They are a very good alternative and it is easy to stay within your limits with them. I think a no-fat dip would be a good thing to have along with them as they are a tad on the dry side compared to other chips (I haven't figured that out myself LOL). Thanks for the samples - I will be keeping these on my grocery list! I found your Multigrain Chips at Costco here in the UK! We love them! Even my picky eater child prefers your chips over the standard tortilla chips! Thanks for yummy food! Pete Lescoe might be onto something. 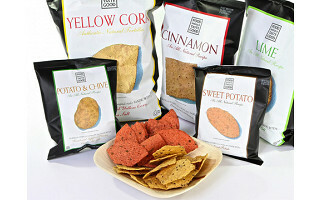 He named his chip company FoodShouldTasteGood — and not only do his gourmet chips taste good, they’re about as guilt-free as a snack food can be. Plus, eating these has totally blown my tortilla-chip worldview out of its previously narrow blue-corn-to-lime-tinged horizons. Angie H., in the photo on the right, is a friend and fan of Daily Grommet who also works at FoodShouldTasteGood. We’re thrilled that she introduced us to these snacks and couldn’t agree more that these are definitely grommet-worthy chips!